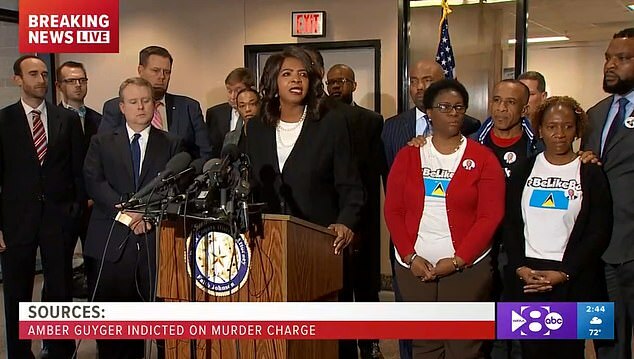 At Friday's afternoon press conference carried live by WFAA and attended by Jean's family, District Attorney Johnson thanked the grand jury for their hard work and diligence. Guyger told investigators she had mistakenly entered Jean's unit, thinking it was her apartment, and thought she'd encountered an intruder. She has since been fired from the department. 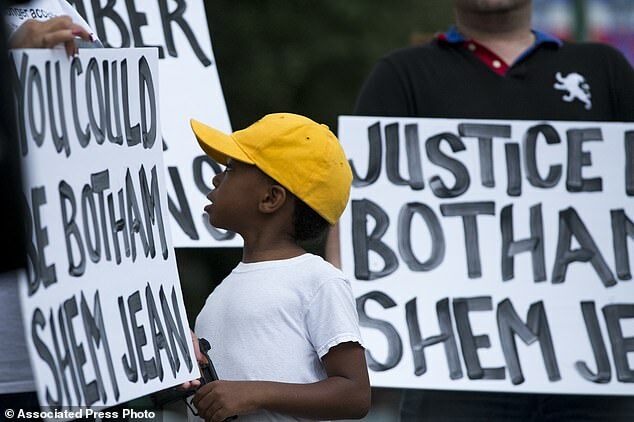 Following Friday's news conference, Jean's parents spoke to reporters, expressing their satisfaction with the outcome of the grand jury's vote, reported Dallas News. 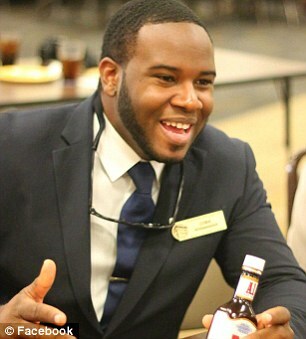 Jean's family has filed a lawsuit against Guyger and the city of Dallas. 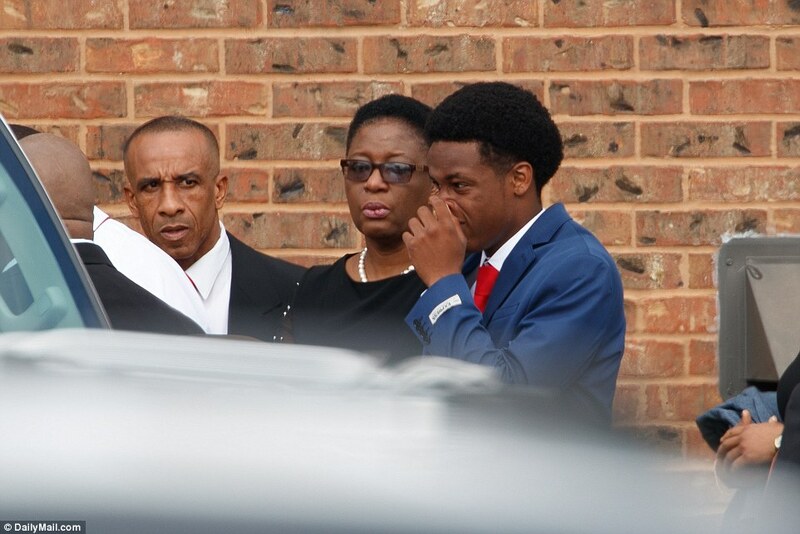 Lee Merritt, one of the attorneys for Jean's family, cast doubt on Guyger's narrative. Merritt has said that two independent witnesses told him they heard knocking on the door in the hallway before the shooting. Reports have surfaced that Amber Guyger, the Dallas police officer who shot and killed Botham Jean, was allegedly given time to able to clear up alarming posts from her social media. According to Atlanta Black Star, despite being given the opportunity to delete damaging material from her accounts, she forgot to get rid of some of the damaging content that could adversely affect her case. During an interview with journalist Jordan Chariton for his Status Coup platform, civil rights attorney Lee Merritt — who represents Jean’s family — shared that Guyger neglected to delete a Pinterest account that contains problematic content. Guyger also a fan of the “one shot, one kill” policy and boasted people were “lucky” if she made it through a week without killing someone. Merritt also explained that it’s common practice for police officers under investigation to delete their social media content in order to ensure that their social and political views can’t be used against them. Bertrum Jean, 54, also explains he’s been too distraught to return to work since his son’s murder. 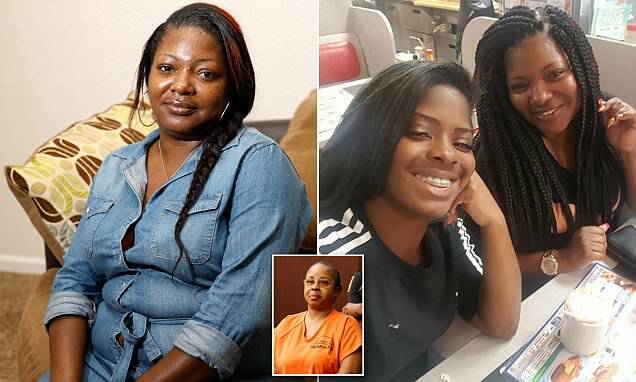 Despite their grief, the couple is doing their best to keep it together for their youngest child, 17-year-old Brandt, who speaks to a Dallas counselor over the phone, and is finding some sort of normalcy by staying in school and going to the gym to relieve stress. The Jean family is also incredibly grateful for the support they’ve received from their loved ones. Hundreds of mourners arrived Thursday in Texas for the emotional funeral of Botham Jean, the black man who was killed by a white female cop in his own apartment last week. 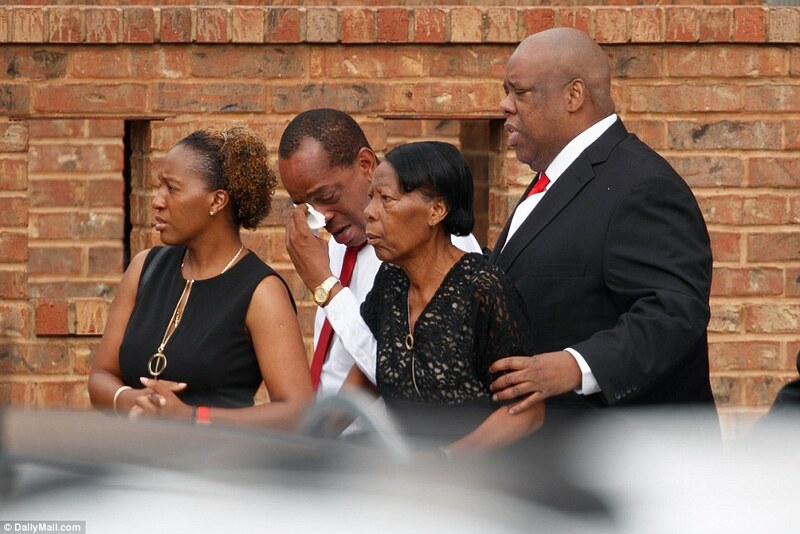 Emotional family, friends and members of the community gathered to pay their respects to Jean, who was just 26-years-old when he was fatally shot by Dallas cop Amber Guyger on September 6. 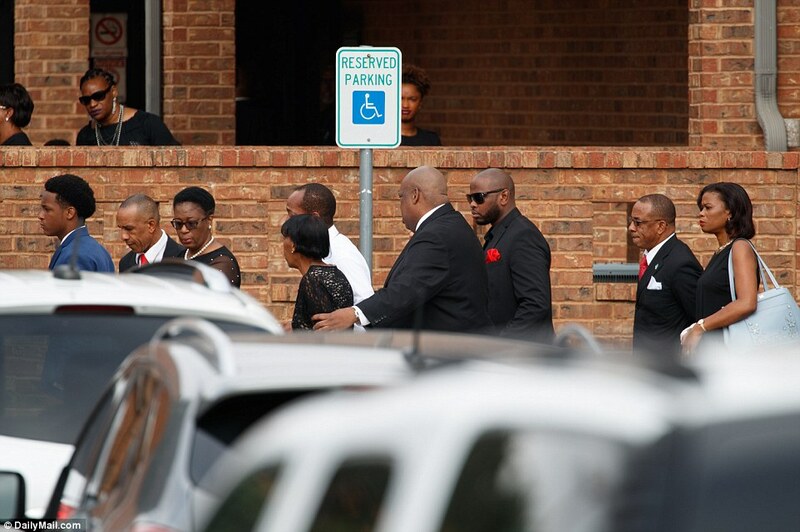 Visitation began at 10am local time with funeral services to begin around noon. The words 'going home' were embroidered into the lining of Jean's coffin. His mother Allison was seen arriving with her husband Bertrum and their two surviving children Brandt and Allisa an hour before the ceremony was due to start. 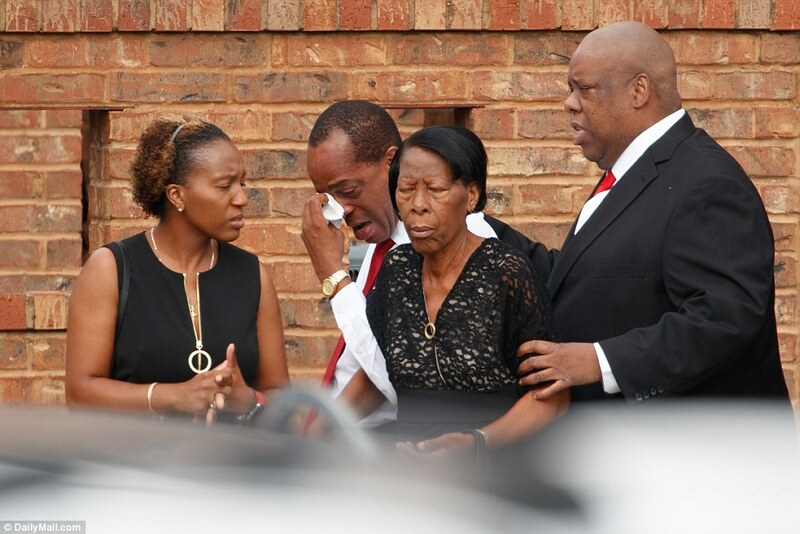 Mourners filed past Jean's casket, which was kept open, at the Greenville Avenue Church of Christ in Richardson, while a slide show of his life was played. 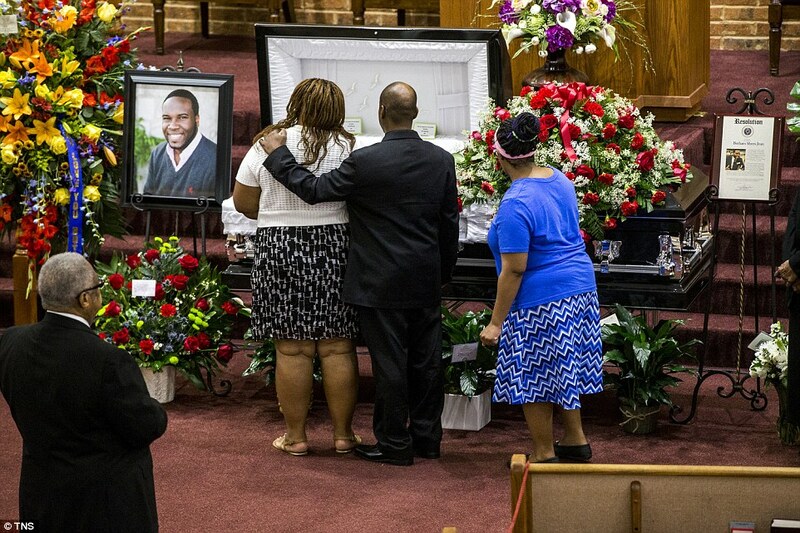 Guests, who included Dallas Police Chief U. Renee Hall and Dallas Mayor Mike Rawlings, were encouraged to applaud each other and the family by Griffin who paid tribute to them by telling mourners: ‘The apple don’t fall far from the tree’. Tommy Bush, a business mentor and friend gave a stirring speech about how the young man reached high and was a believer in Christ. Bush continually cried while talking about him, and concluded 'Don't tell me not to grieve. I'm not there yet. 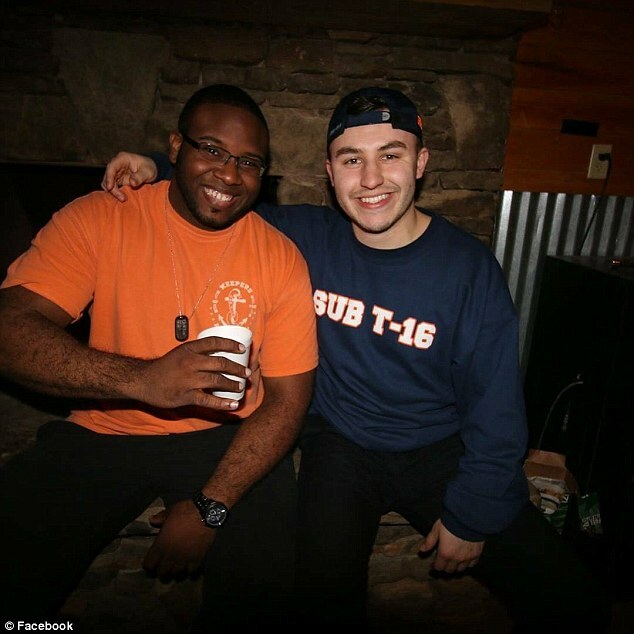 'He was truly a gift from God and he meant the world to me, his spiritual bond with Christ was always at the forefront of his mind,' said his college, Alexis Stossel. 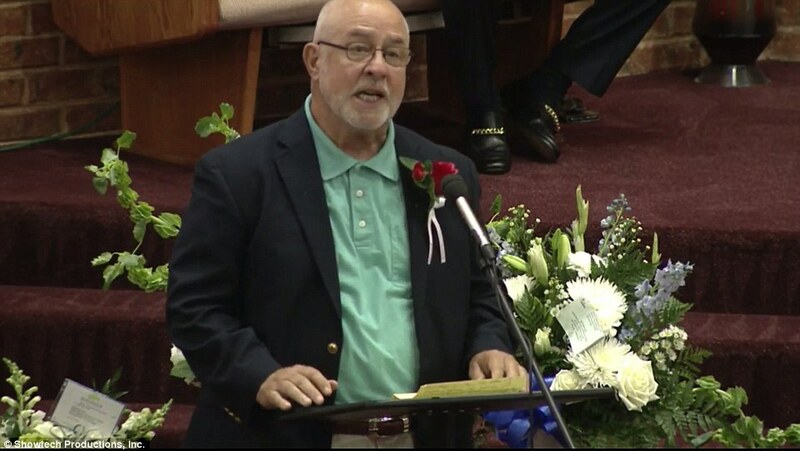 During the services, Jean's service to his church, his community and the many missions he has done through his church in Texas for the people in his homeland of St. Lucia were emphasized. The young man was also a member of a chorus called 'The Good News Singers' through Harding University which traveled the country to spread the word of Jesus Christ. Jean was dressed in a suit and tie that was the same suit he wore in his bright, smiling Facebook photo. His younger brother wore a matching outfit. He stood over his brother and patted Jean's chest while family comforted him and rubbed his shoulders. 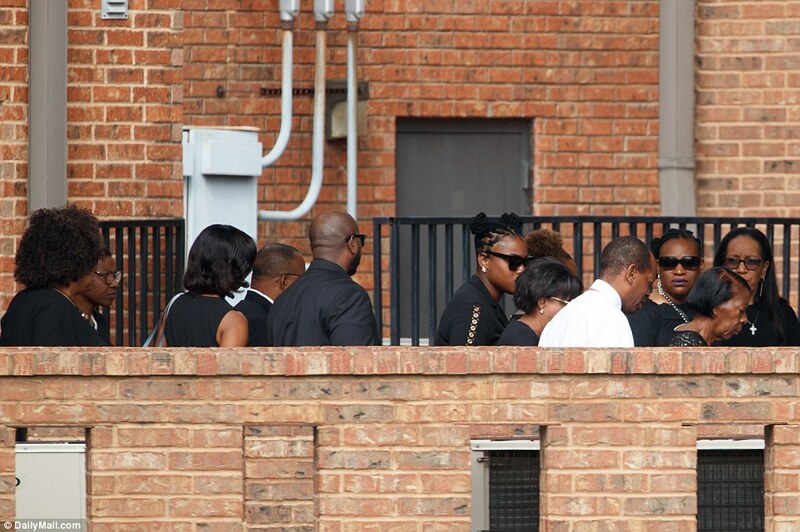 People attending dressed in traditional black funeral attire, as well as anti-violence t-shirts. A bus was provided from Harding University, about five hours away in Arkansas, where Jean attended school. Students and alumni packed the bus to honor their friend who was a native of Saint Lucia. 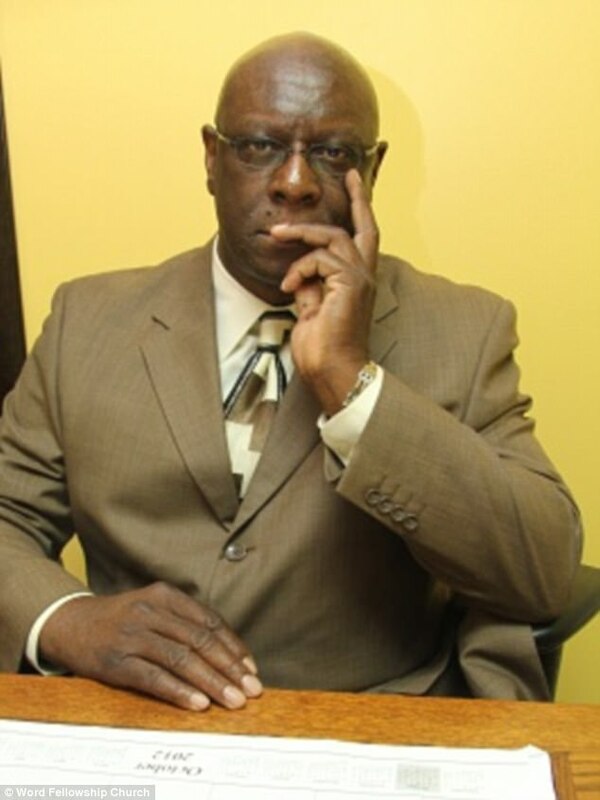 Jean's final resting place will be in his homeland of St. Lucia at a later date. 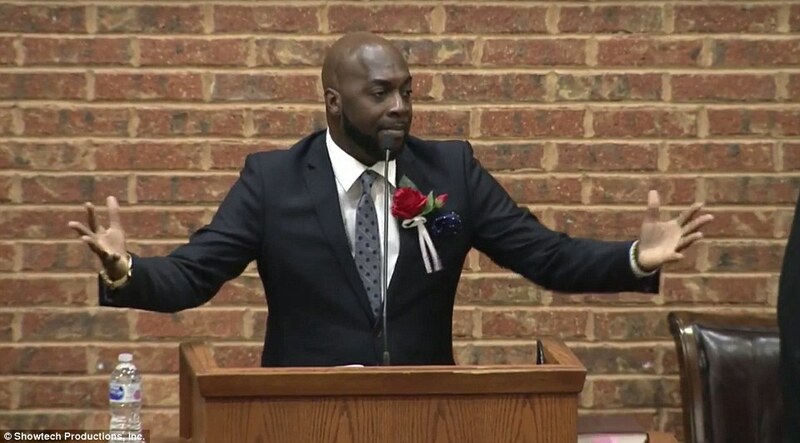 In a statement released before the service, Allisa called for peaceful protests and said she still wants clear, concise answers about the events that led to his death. She added: 'Botham was a man of peace, love and justice. Botham would approve of the marches and protests, however, he would not approve of any violence in the streets nor loss of any additional life in his name nor his memory, as a result of this tragedy. 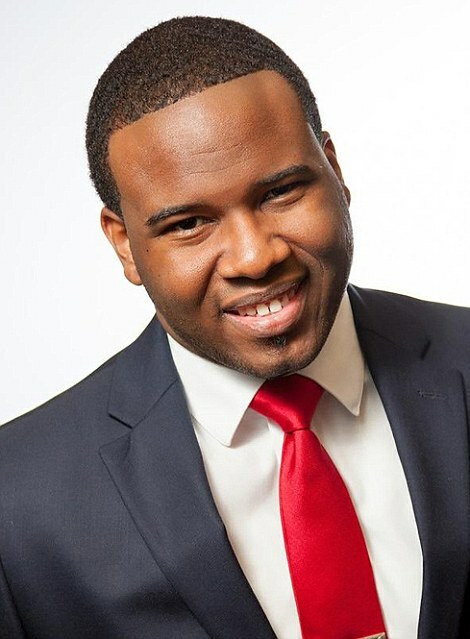 'Botham Shem Jean loved both America and his homeland of St Lucia. But above all, he loved serving God and knew his calling as a child of God. According to a program obtained by DailyMail.com, the service will include an obituary by Jean's friend Tyler Gentry and tributes by college friend Alexis Stossel, PWC senior partner Tim Ryan and family friend Ignatius Jean. An obituary included in the program remembers Jean as having 'an enthusiasm for life that was contagious'. The family are requesting donations in lieu of flowers to be paid to Harding University's St. Lucia Global Missions Fund. Guyger, 30, lived a floor beneath Jean and claims that she mistakenly went to his apartment thinking it was hers. She told police that when she arrived at the front door, it was ajar and the lights inside were off. She says that she went inside , saw a 'dark silhouette', gave verbal commands then shot the man, thinking he was an intruder. But Jean's family say her story is full of holes. They say that the banking associate was afraid of the dark and would never have had all his lights off inside. 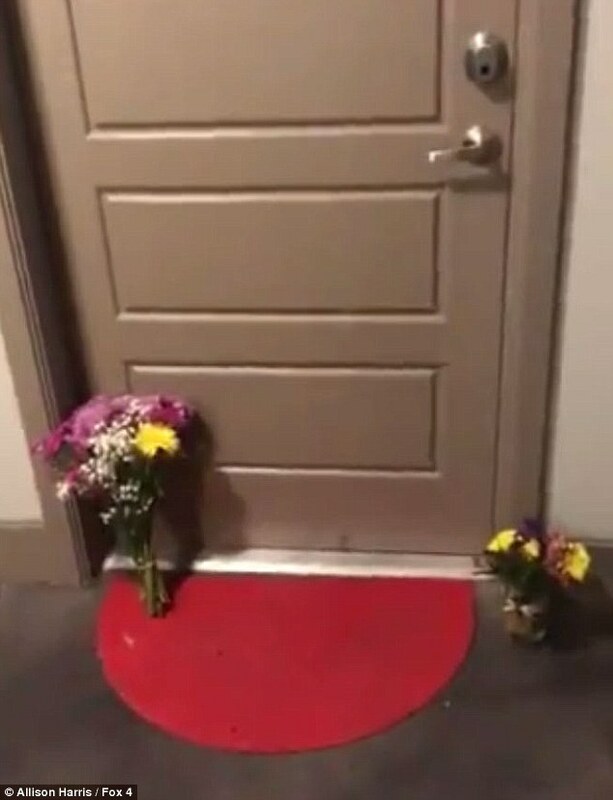 They also say he would not have kept his door ajar because it was unsafe, and point out that he had a red doormat at the front of his apartment which would have been impossible for the cop not to spot and realize she was in the wrong place. 'He made sure to let everyone know this is mine – it's my red carpet,' his mother said. 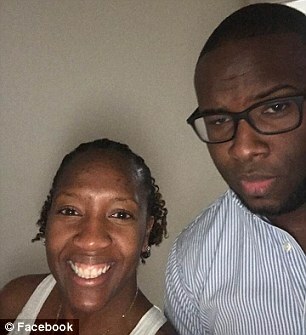 They also revealed on Wednesday that Jean, who moved to the US from his native St Lucia in 2011 to attend college, was terrified of being racially profiled as a black man living in Texas. 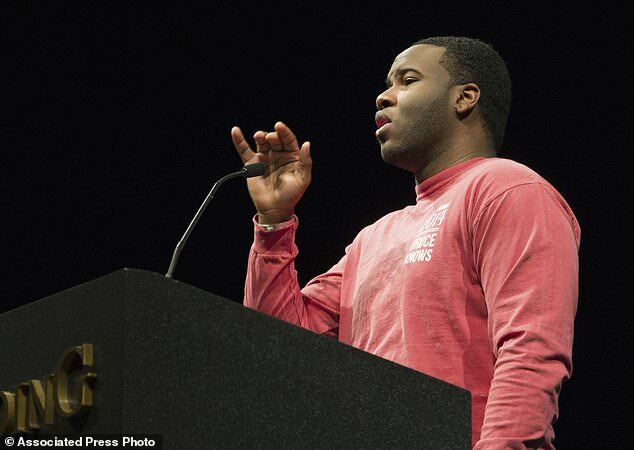 'He said to me as a black man in Dallas, you don't walk with your hands in your pockets. 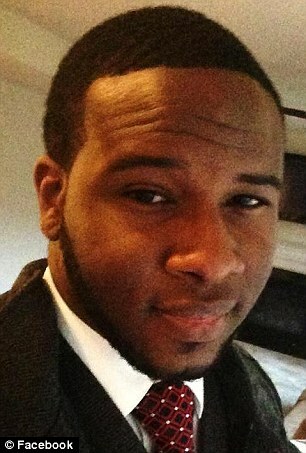 'Just so you don't get any profiling,' his teenager brother Brandt told CBS this week. Jean's mother, Allison, said he would never have sat at home in the dark. 'To hear that his door was open, he would never -- and have the lights off -- he would never do that. The witness believes those may have been Jean's last words. Guyger called 911 immediately and was seen pacing up and down the hallway in her cop uniform while making the call. Jean was taken to hospital but was pronounce dead afterwards. It took three days for police to arrest Guyger. She was booked into jail on Sunday on a manslaughter charge and was bailed out by an attorney on a $300,000 bond. 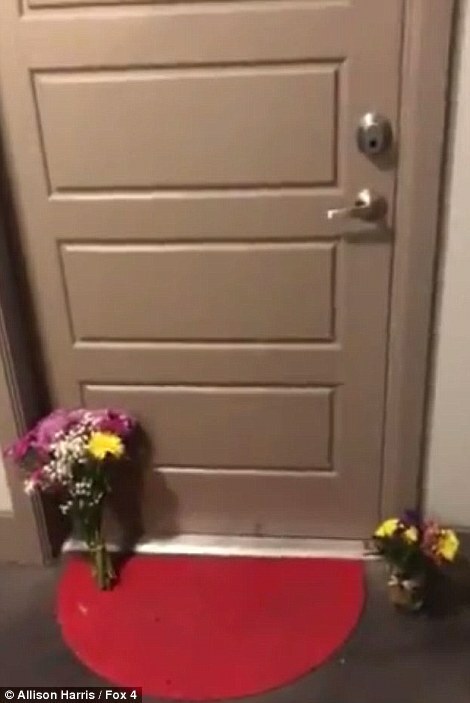 Neighbors of a white cop who shot dead a black man in Dallas on Thursday night after walking into his apartment have disputed her claim that his door was ajar when she arrived at it. The witness told Jean's family's lawyer Lee Merritt they think those were his last words. Jean's mother Allison said she believes there is more to her son's death than has been revealed. 'I'm not satisfied that we have all the answers,' she said. 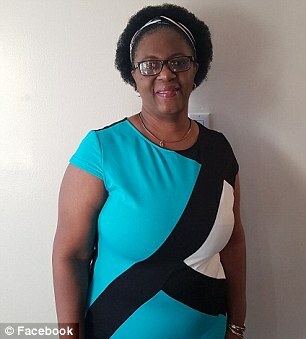 Jean, who worked as an associate for the the finance firm PwC and was from St Lucia, lived one floor above Guyger in the South Side Flats building. Her attorney did not respond to DailyMail.com's inquiries on Tuesday. The neighbors' accounts significantly undermine her claim that Jean's door was ajar when she arrived at it after returning home. 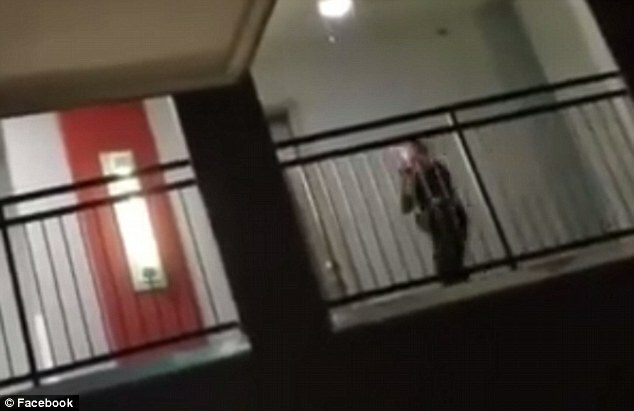 Eyewitness video from the scene has also emerged which shows Guyger pacing up and down the hallway afterwards. She appears to be shaking and crying and is holding a phone to one ear. Minutes later, a team of EMTs arrived. They were filmed wheeling Jean away while one of them performed CPR. Guyger told police that they had never met before Thursday night and that she thought he was an intruder in her home when she arrived mistakenly at the front door. She said she gave verbal commands but that he ignored them and forced her to shoot. 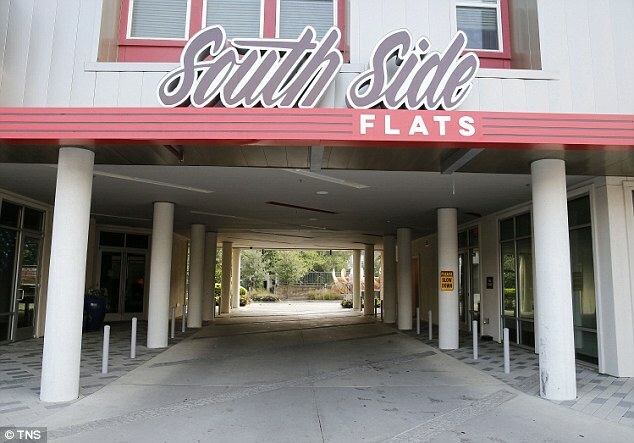 She said she only realized that she had entered his apartment, and not her own, after she shot him dead in the dark, turned the lights on and called 911. The cop was arrested on Sunday, three days after the incident, on a manslaughter charge and was released on a $300,000 attorney bond afterwards. It is now in the hands of a grand jury to decide whether or not that is the appropriate offense or if she should be charged with murder. Jean's family have questioned why it took police three days to arrest her. They say she should have been put in custody on Thursday, immediately after she called police. 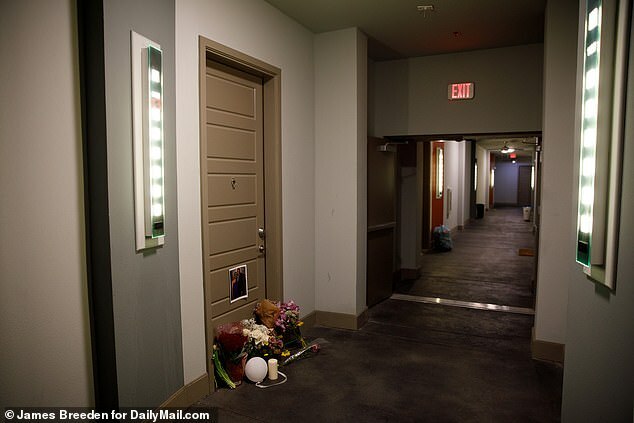 They also say it is unlikely she could have mistaken their son's door for her own because he had a distinctive red door mat at the entrance of his apartment. 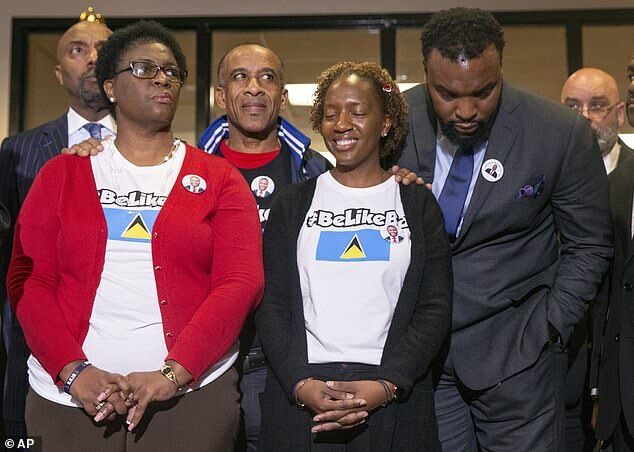 At a press conference on Monday, his mother Allison, who flew in from St Lucia with his siblings after his death, said: 'The number one answer that I want is, what happened? I have asked too many questions and have been told that there are no answers yet. On Monday, District Attorney Faith Johnson said she would do everything in her power to investigate the case to its fullest. She eschewed responsibility for how Guger had been treated so far and said it was out of her power how Texas rangers arrested her. She said her office had a 'spirited debate' with the police about how they had handled the case so far but would not go into further detail. On Monday night, nearly 200 protesters descended on Dallas Police HQ demanding justice after Guyger was released. Jean arrived in the US in 2011 after winning a place at Harding University in Arkansas. 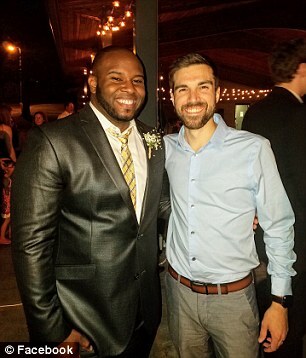 He studied business administration and accounting and management and graduated in 2016. PwC hired him out of college as a risk assurance associate. 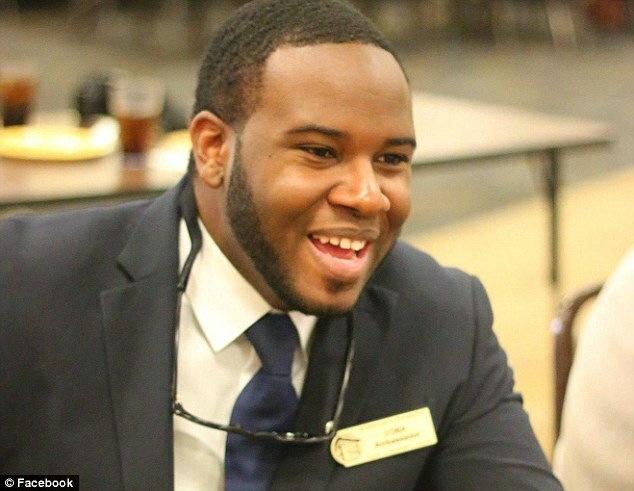 Dallas police on Saturday said Guyger had worked for Dallas Police Department for four years on the Southeast Patrol Division. Guyger, the sole woman on a elite crime response team of 10 officers who make high-risk arrests, shot another man in 2017 - that time a suspect who had taken her Taser. Uvaldo Perez, 47, was hit once in the abdomen, but survived and was sentenced to two years on drugs charges. Guyger was found justified in that shooting. 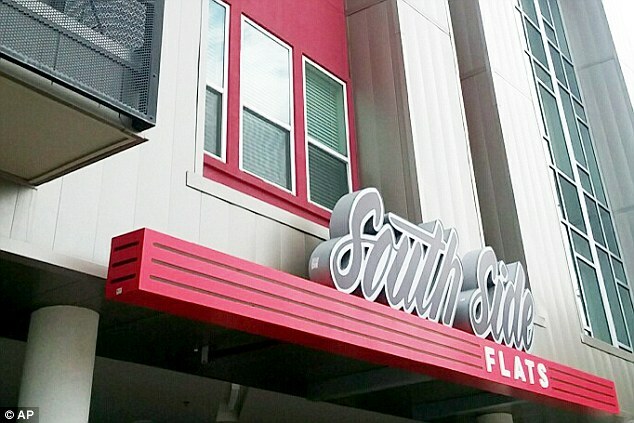 The policewoman moved into the South Side Flats about a month ago. 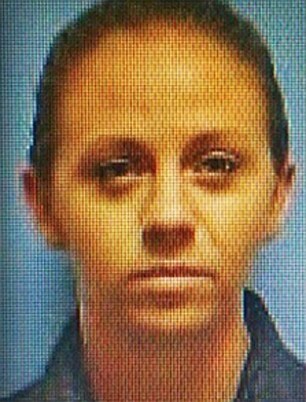 The female cop who shot her neighbor and said she had entered his apartment thinking it was her own has been arrested and charged with manslaughter. 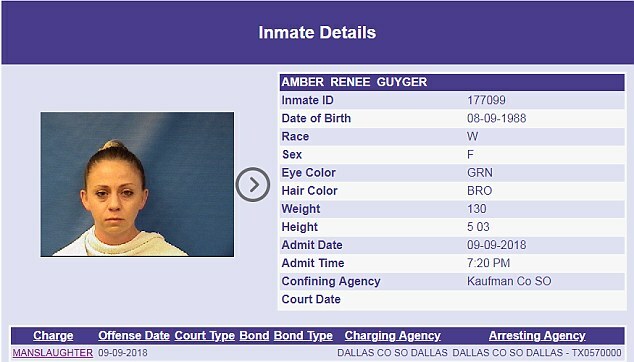 Dallas Police Officer Amber Renee Guyger, 30, was booked into Kaufman County Jail at 7.20pm on Sunday on a charge of manslaughter in the Thursday shooting of 26-year-old Botham Jean, jail records show. Guyger posted bond of $300,000 and was released by 8.30pm. Kaufman deputies allowed her to leave by the rear of the jail, avoiding the gathered press, rather than the front of the building as is typical for bonded inmates, according to local reports. Kaufman County is directly southeast of Dallas County, where the shooting occurred. In Texas, the penalty for a manslaughter conviction is between two and 20 years in prison. The Texas Rangers, who took over the investigation on Friday, said the investigation is ongoing and declined to offer further information about the case. The Rangers, a law enforcement group equivalent to state police, ran the investigation to avoid the appearance of any potential bias, Dallas Police Chief Renee Hall said at a press conference on Friday. 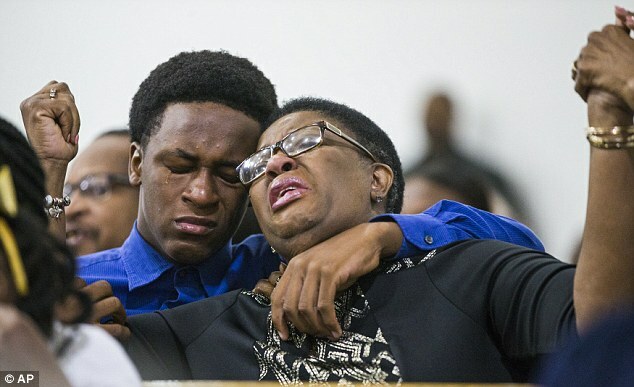 Earlier on Sunday, Jean's mother Allison and 15-year-old brother Grant mourned his death at an emotional prayer service at Dallas West Church of Christ. 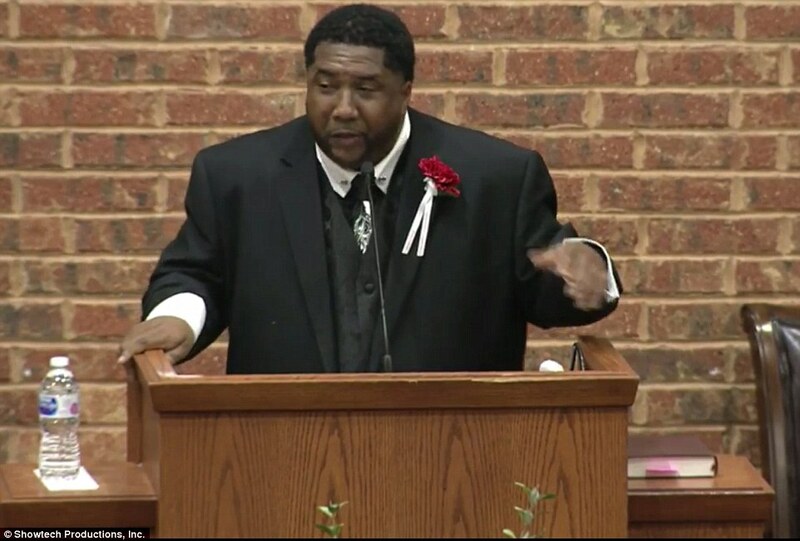 The congregation paid tribute to Jean, a consultant who was active in the church's ministry service, by signing his favorite hymn: My God Is Real. Later Sunday, the family held a press conference at 7pm demanding Guyger's arrest, apparently unaware that she had already been arrested in Kaufman County at 6.37pm and was en route to booking. Jean's family has hired attorney Benjamin Crump, who is best known for representing the families of Trayvon Martin and Michael Brown. 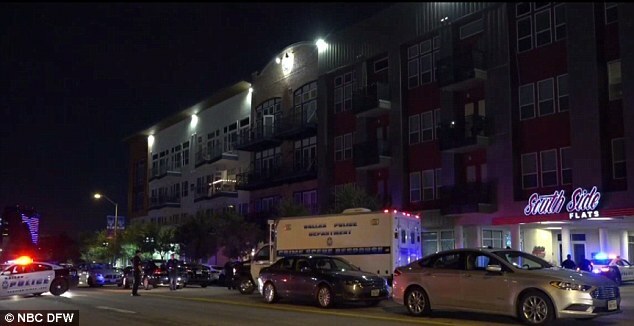 The perplexing shooting unfolded at about 9.59pm on Thursday, when Guyger had just gotten off of a full shift. According to Guyger, she mistakenly entered the wrong apartment in the complex where she lived, thinking it was her home, and had some kind of confrontation with Jean that ended with her shooting the man with her service weapon. Guyger, who was in uniform, immediately called 911 to report that she had been involved in a shooting, investigators said. Police and paramedics administered aid at the scene, and Jean was rushed to an area hospital, where he was declared dead. 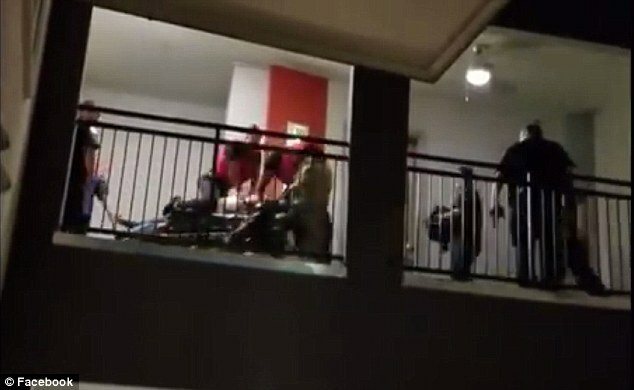 The immediate aftermath of the shooting was captured in footage posted by a neighbor, showing a female uniformed officer crying into her phone on a walkway of the apartment block. She is heard screaming 'oh God!' into the phone before she dashes away out of view. Moments later, the victim is pulled past on a gurney as medics desperately try to revive him. Four officers follow directly behind and another runs to catch up. 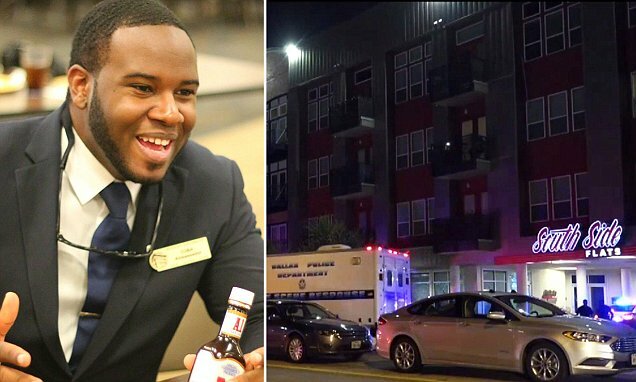 White COP shoots DEAD her neighbor, 26, in his HOME after she 'walked into his apartment thinking it was her own'-- What do you think? 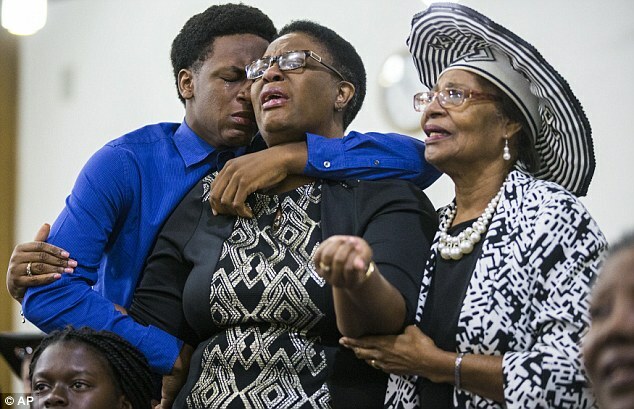 The mother of a black Caribbean man who was fatally shot by a white Dallas police officer who said she mistook his apartment for her own wonders whether her son's race was a factor in his killing. 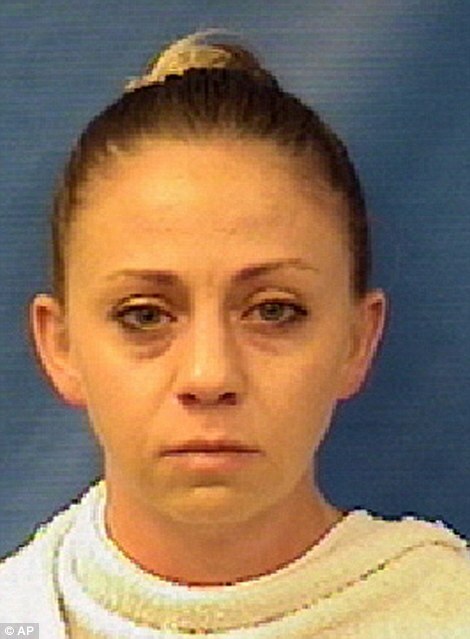 Allison Jean told NBCDFW she wondered if the off-duty officer would have reacted differently if 26-year-old Botham Jean had been white. The officer, who authorities say will be charged with manslaughter, shot and killed the young man using her service weapon after returning home from her shift on Thursday night. She claimed she had mistaken his apartment for her own. The officer is yet to be named or pictured, sparking calls of unfair treatment. 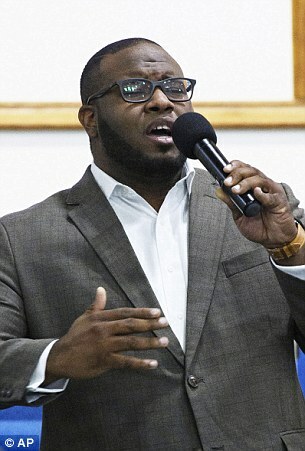 And while Dallas’ police chief Renee Hall said on Friday the officer would be charged imminently, she revealed on Saturday, during a criminal justice panel livestreamed on Facebook, that the warrant hadn’t been issued. Hall said the Texas Rangers, who are conducting an independent investigation, asked her department to hold off because they needed more time to look into the shooting. Ms Jean said she wants justice for her son, noting he had not even strayed near trouble when he was killed. 'Botham was no where in any wrong place at any wrong time. He was in his sanctuary. In the place he called home. He didn’t deserve it,' she said. The devastated mother says she wants to know who the police officer is, and she wants a better explanation for what happened. 'I don’t want to judge her. We are Christians. We forgive,' she said. 'But I need to look into her eyes, and ask her why did she do that to my son. 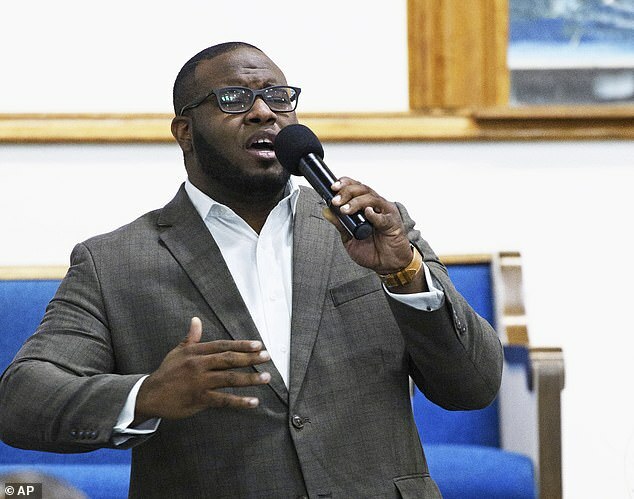 Botham Jean attended college at Harding University in Arkansas, where he often led campus worship services. After graduating in 2016, he moved to Dallas, where he went to work in risk assurance for PricewaterhouseCoopers. 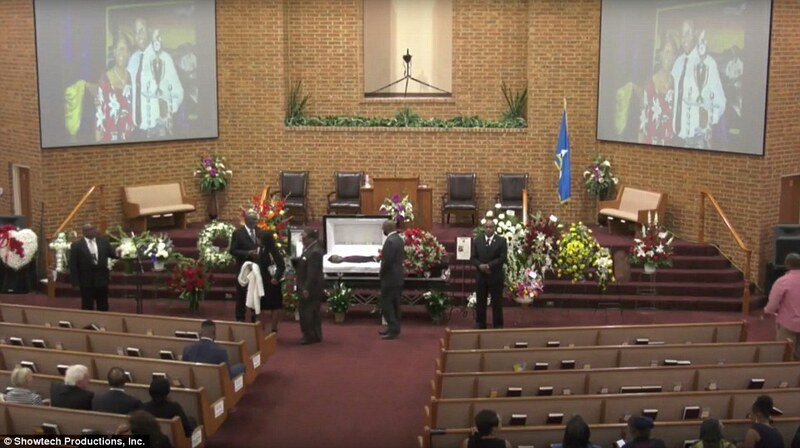 The 26-year-old was beloved everywhere he went, with tributes flowing in online from people who said their lives had been improved by his presence. 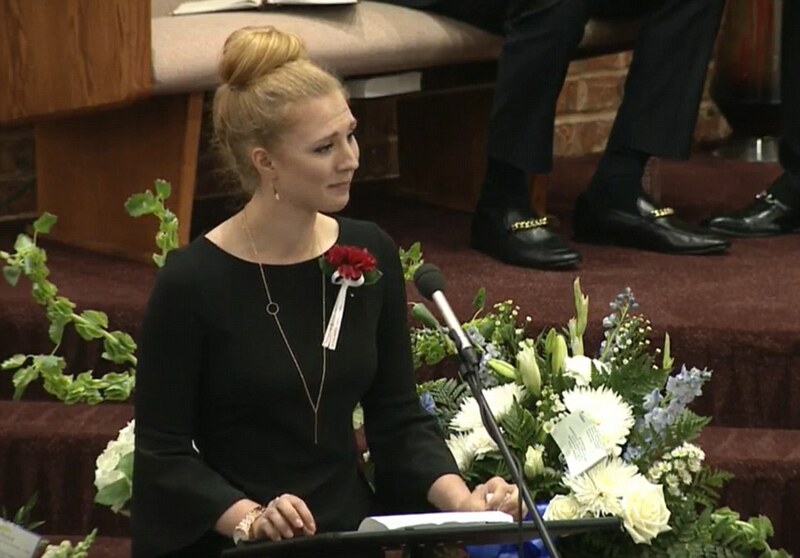 In a particularly heartbreaking message, his sister said she had transitioned in an instant from picking out presents to picking out a casket for her beloved brother. 'Just last week I was thinking of what to get you for your birthday, now I have to go pick out your casket,' she wrote. Another, written by college friend Matt Woodson, noted Mr Jean was always around when he was needed. Woodson said the pair worked on classwork together, sang in choir together and even bought cowboy boots together after first bonding over icecream and soda. 'There’s one thing that remained so constant in your life... that contagiously bright smile that radiated from your face every day of every week,' Woodson wrote. 'The numbness I’m experiencing still brings pain. It’s dull and deep. It’s the kind of pain that sinks in and doesn’t go away. 'A piece of my heart and the hearts of literally thousands of others will forever be missing because of your absence on this Earth. Dallas Senator Royce West told reporters on Saturday he still did not know if the events of Thursday night were race related. 'We need to find out whether there was a personal relationship, whether she surprised him at the door,' he said. The Senator was passionate in explaining he wanted to see charges laid, and to ensure the officer was not given any special treatment because of her job. 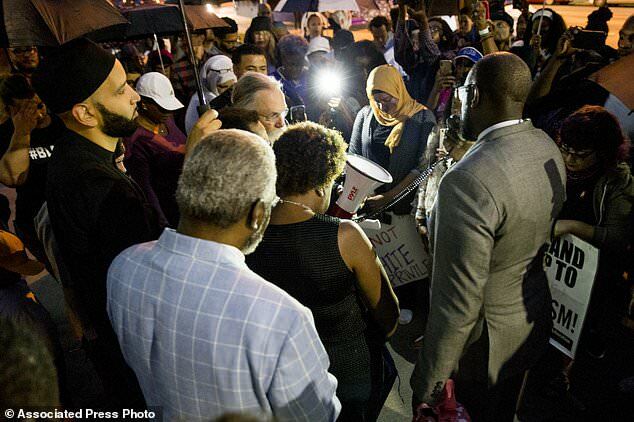 On Friday, a group gathered at the Jack Evans Police Headquarters for a candlelight vigil in memory of Mr Jean. The candlelight memorial was held by Mothers Against Police Brutality, and people from all races and religions appeared to be in attendance. 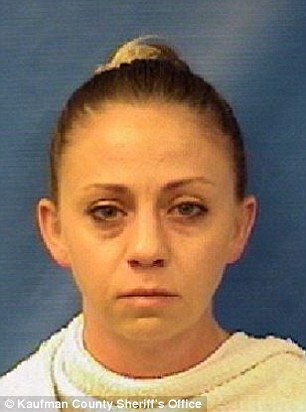 A white Dallas police officer is facing manslaughter charges for shooting dead a black man in his home after she entered his apartment thinking it was her own. A blood sample was drawn from the female officer to determine her drug and alcohol levels, Police Chief Renee Hall said in a press conference Friday afternoon. 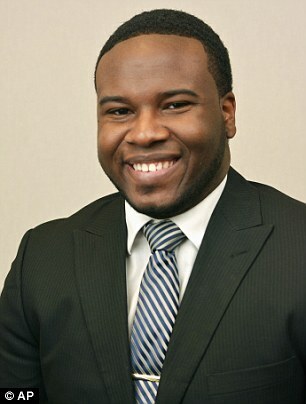 Dallas police are now seeking a warrant for manslaughter charges against the cop. Hall confirmed that the officer is white, but she did not say whether investigators believe race was a factor in the shooting. She added that the officer would be identified pending any charges. 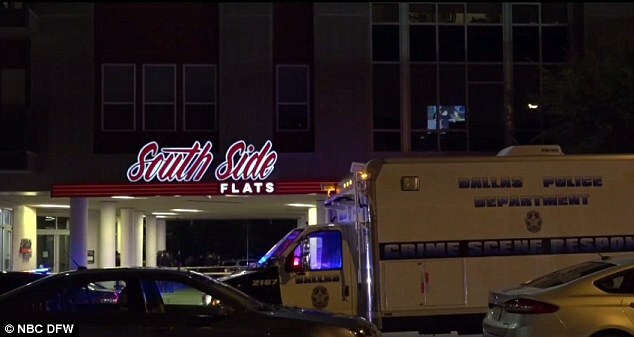 The shooting happened just before 10pm at South Side Flats, an upscale apartment complex in downtown Dallas. The victim was treated at the scene before being taken to the hospital and later pronounced dead. Authorities have not said how the officer got into Jean's home, or whether his door was open or unlocked. Halls said it's also not clear whether there was any interaction between the two before Jean was shot. 'Right now there are more questions than there are answers,' Hall said. I hope the prosecution can make murder one stick. Sounds like a charge to get her off. Death penalty for that demon spawn. She was scorned or turned down or she said what the heck other white cops have gotten of let's see if I will. This should be a lesson to all Black people, do not open that f**king door, if a crazy intoxicated @ss suspected White Supremacist banging on your door like that...no matter what, your life depends on it. Well, a black person should not open their door to anybody who is a undesirable, use that spirit of Ogun to tell the difference. 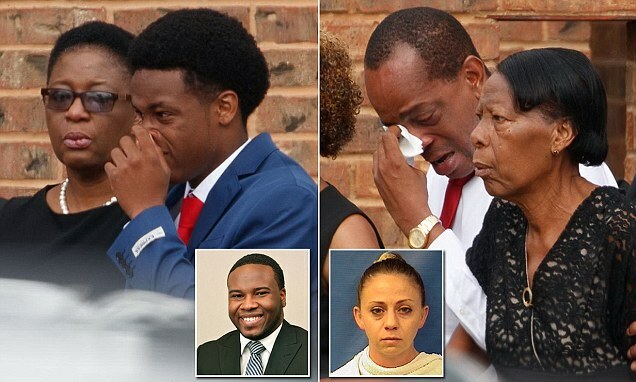 I don’t understand his family say he had never met the cop... but yet there I s pic on social media say other wise! Something smell fishy there!